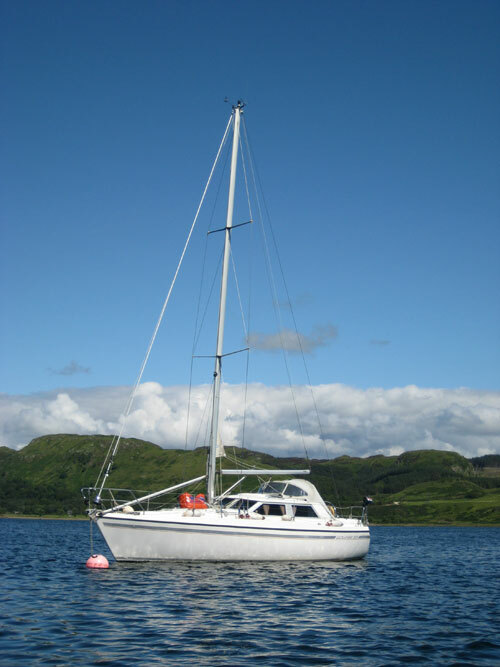 Ross Voyager is joining our fleet for the 2013 season. She is a Moody Eclipse 33 Deck Saloon with steering positions both in the cockpit and also inside, making her ideal for inclement weather! Further details will follow as we prepare her for her new life as a charter boat.